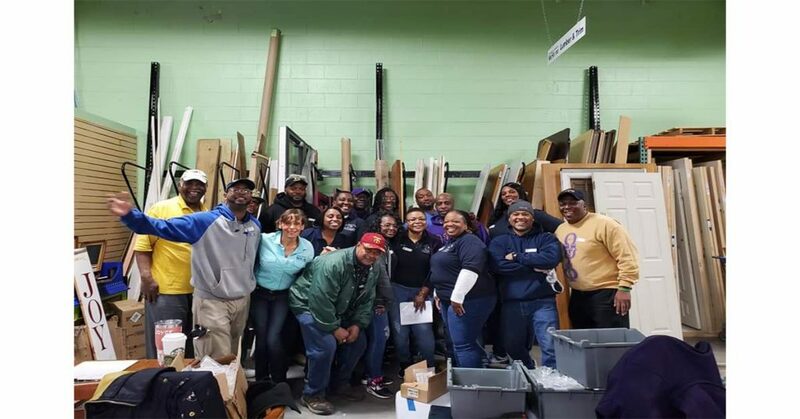 Newport News, VA- On March 9, 2019, the brothers of Kappa Iota Iota Chapter, Third District, Omega Psi Phi Fraternity Inc., volunteered to offer support for the Habitat for Humanity ReStore Program. 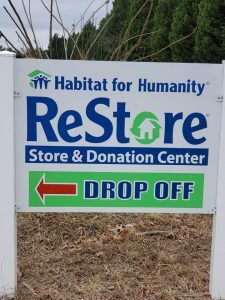 The brothers were able to put their knowledge, skills, and abilities to the task by providing customer service, furniture repair, unloading trucks, stocking store shelves, and carefully metal scrapping/recycling as well as organizing the ReStore warehouse. This opportunity also gave the brothers an opportunity to collaborate and fellowship with Zem Temple #122 and Court #98 of AEAONMS Shriners PHA located in Hampton, VA. 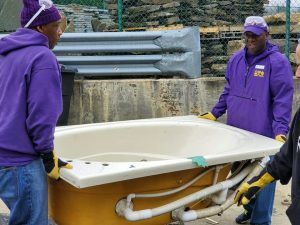 This service opportunity is one that KII, the Service Chapter, takes pride in as we witness homes being restored in our cities.